For younger generations, when we hear the name Buick, we immediately associate the car brand with the cars our grandparents drove. They were the big sedans that never seemed to break down, and they were able to fit your entire family. If you asked kids today what kind of car they would want to drive, there’s a good chance that it won’t be a Buick. And for a while, I thought the same thing, that is until I actually drove one. 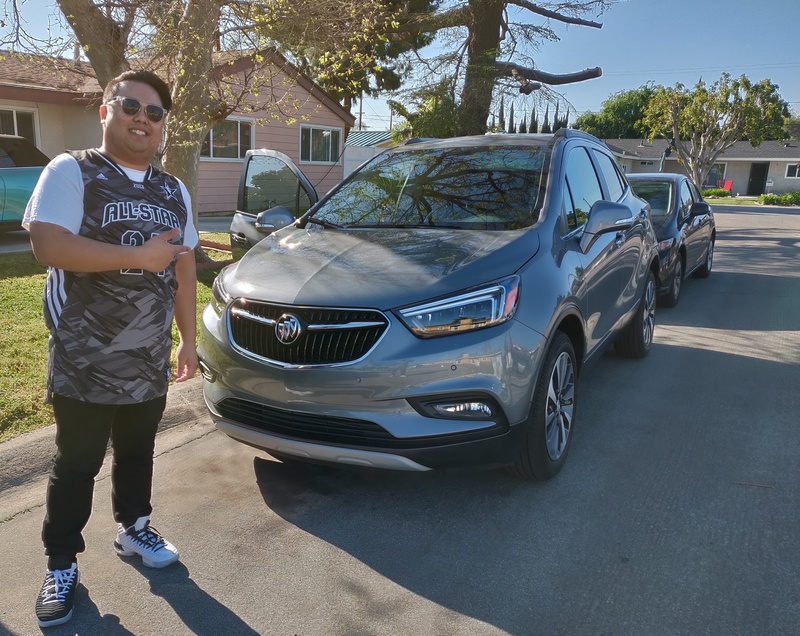 During the NCAA March Madness Elite 8 games, Buick was kind enough to let us drive its 2019 Encore, which is its smaller luxury SUV. The car has the looks of your standard SUV, but the wheelbase is comparable to that of a sedan. One thing that immediately caught my attention was Buick’s new design that blends a more modern style with their classic look. This gives the Encore the look and feels of being a much bigger car. Inside, the car has a lot of room to comfortably seat five people. There’s also enough headroom for your average person. The interior is comprised of plush leather on the seats and steering wheel and has programmable motorized seats to easily find yourself a comfortable seating position. Because the Encore is Buick’s smaller SUV model, you’re not going to get a lot of trunk space, so if you’re planning on a long road trip, you’ll have to pack smart. Fortunately, the rear seats do fold down to give you some added space. The Essence version of the Encore is what we drove, which has all the bells and whistles. To give you the ultimate luxury feeling, you’ll get heated seats and a Bose audio sound system. The interior also incorporates Buicks Quiettuning technology, which works to reduce and block the amount of outside noise and vibration, thus giving you a quieter interior cabin. Now, in this connected day and age, we rely heavily on technology, and the Encore is packed with a lot of tech to give its drivers a focused and alert driving experience. The center console features an 8-inch colored touch screen that controls everything you need to do when it comes to your in-vehicle entertainment. You can connect to your smartphone with the built-in Bluetooth and control satellite or standard radio. But the one feature that really showcases Buick’s devotion to technology is with the built-in support for both Android Auto and Apple CarPlay. Regardless of your preferred smartphone, connecting to the Buick is as simple as connecting a USB cable. Once connected, the Encore will automatically switch to Android Auto or Apple CarPlay. During my time with the car, I used Android Auto, which gave me access to my Spotify, messages and phone book, and Google Maps. This made driving exceptionally easy as I was able to divert all of my focus on the road. The steering wheel controls also made navigating through music seamless and also gave me quick access to Google Assistant. I was even surprised to see that the car had built-in WiFi. So even for those long trips with friends or family, you’ll still have a way to access the internet. Aside from controlling your media and accessing your phone, the Encore does feature a bevy of technology that makes your driving much more safer. A number of sensors line the outside of the car, which will alert you if you’re driving too close to objects or if you start to drift outside of your lane. If you have difficulty parallel parking or have a fear of reversing into things while driving an SUV, the Encore Essence does feature a back-up camera to help you out in those predicaments. I’ve always had my reserves about Buick cars. 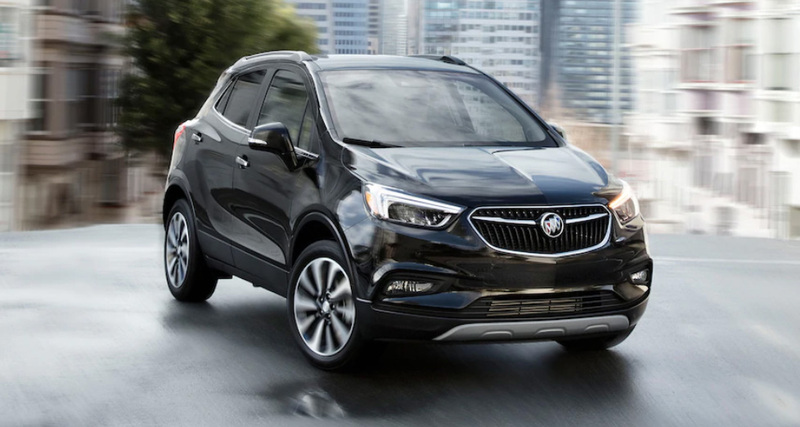 When shopping for a new vehicle, the thought of owning a Buick never crossed my mind, but my time with the Buick Encore has easily dispelled that notion. The Encore provides a smooth, comfortable, and luxurious ride that made driving enjoyable. The car’s technology gave me a perfect hands-free experience so that my attention was solely focused on the road. And to keep me even safer from the potential hazards of the roads, the Encore’s numerous sensors kept me attentive to my surroundings. The younger generation lives and breathes on their smartphones, and Buick has done a great job of grasping that necessity by incorporating numerous ways for them to still use their smartphone while striving to keep them safe behind the wheel. Buick has come along way from the days of “being your grandparent’s car”, and the new Encore is a true testament that Buick is now cool for all ages. The post 2019 Buick Encore Essence: It’s not your grandma’s car appeared first on Nerd Reactor.